Who invented Wifi? The name of the person credited with inventing Wifi is John O’Sullivan (1947 - Present). John O’Sullivan is not only famous as the Australian inventor of Wifi but also as a businessman and electrical engineer. When was Wifi invented? John O’Sullivan led a team of Astrophysicists to invent Wifi in 1988, during the Technology and Information Age of inventions. The invention of Wifi originated in Australia and is considered a breakthrough achievement, to the field of Computing and Technology. Definition of Wifi: The Wifi is defined as a technology (Wireless Fidelity) that enables remote machines such as laptop computers, tablets and smartphones to the Internet and World Wide Web without attaching a cord or telephone wire to a computer. Fact 1: Who invented Wifi? Wifi was invented by John O’Sullivan in 1988 during the Technology and Information Age of inventions which was a highly influential addition to advancements made in the area of Computing and Technology. Fact 2: Who invented Wifi? Prior to the invention of Wifi in 1988, our homes and workplaces were filled with trailing wires, cords and extension leads in order for us to get connected to the Internet and the World Wide Web. Fact 3: Who invented Wifi? The story of this new technology surprisingly had links to a famous Hollywood movie star called Hedy Lamarr (1914 - 2000) who co-developed an early version of 'spectrum spread technology' with George Antheil, in which the frequency of the transmitted signal is deliberately varied. Fact 4: Who invented Wifi? Spread spectrum and frequency hopping technology was a necessary precursor to WIFI, but when it was invented during World War 2 it was used as a means of preventing the hijacking of radio controlled torpedoes and causing the torpedoes to go off course. Fact 5: Who invented Wifi? Hedy Lamarr's invention was patented on August 11, 1942 US Patent 2,292,387. However, the Spread spectrum and frequency hopping technology was difficult to implement and at the time the U.S. Navy was not receptive to considering inventions that had been developed outside the military. Fact 6: Who invented Wifi? It wasn't until 1962, during the Cold War and the Cuban missile crisis, that an updated version of the spectrum spread technology, using electronics rather than the mechanical system originally proposed, appeared on Navy ships to secure military communications. Fact 7: Who invented Wifi? In 1973, when Martin Cooper invented the truly portable Cell Phone a portable mobile phone that used cellular telephony. In 1982 the Federal Communications Commission (FCC) officially approved the commercial cellphone service. In 1977 Apple caused a huge sensation as the first mass-market Personal Computer. Fact 8: Who invented Wifi? The U.S. Federal Communication Commission (FCC) had instigated strict rules concerning the use of the technology but by the late 1970's FCC Chairman Charles Ferris wanted to to remove regulatory barriers, decrease the role of the FCC and stimulate the development of new services and technologies. Fact 9: Who invented Wifi? The commercial use of spread spectrum began in the 1980's and Wireless LANs (Local Area Networks) became possible after a 1985 ruling by the FCC which made certain frequencies available for use without a license and Ethernet standards were established. Fact 10: Who invented Wifi? The world's first general authorization for civil spread spectrum was in the May 1985 in FCC Docket 81-413. This was an critical advance to the invention of wireless technology because it included the rules that Wi-Fi, Bluetooth, and the majority of cordless phones sold in the United States operate under. Fact 11: Who invented Wifi? The man credited as the inventor of Wifi, John O’Sullivan, was born on January 31, 1947 in Sydney, Australia where he was raised by his family. John O’Sullivan was educated at Sydney University and completed his PhD in Electrical Engineering in 1974. Fact 12: Who invented Wifi? Following his education his first job was in the Foundation for Radio Astronomy in the Netherlands where he eventually became Head of their Engineering group. John O’Sullivan returned to Australia in 1983 to work on communications and radar processing systems at CSIRO. The Commonwealth Scientific and Industrial Research Organisation (CSIRO) is the federal government agency for scientific research in Australia. Fact 13: Who invented Wifi? John O’Sullivan led a CSIRO team comprising of John Deane, Diethelm Ostry, Graham Daniels and Terry Percival who together invented a patented technology that used various techniques to enable fast, robust wireless networking in the home and in the office. Fact 14: Who invented Wifi? John O’Sullivan went on to lead the system design for the world’s first 802.11a (WiFi) chipset developed by Radiata Networks, the set of standards that define communication for wireless LANs (wireless local area networks, or WLANs). Fact 15: Who invented Wifi? 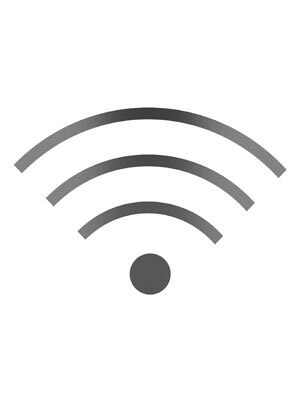 In 1999 the "IEEE 802.11b Direct Sequence" was renamed “Wi-Fi” by Interbrand, a division of Omnicom, that specialized in areas such as brand strategy. By the year 2000 there were over 100 million cell phone subscribers. Fact 16: Who invented Wifi? In 2007 Steve Jobs launched the very first iPhone, a Wi-Fi dependent computer that made phone calls. Within just a few years free Wi-Fi was made available at most popular restaurant chains and is firmly established as a milestone in communication technology. Who Invented Wifi - John O’Sullivan - Inventor - Invention - Definition - Meaning - Famous - Important - Wi-Fi History - Wi-Fi Timeline - Innovation - Significant - Development - Wi-Fi Definition - Kids - Facts - Information - Info - Who invented Wifi - Dates - When - Why - Impact - Purpose - Use - New - Old - Amazing - Best - Definition - Meaning - Awesome - Cool - Australian - History - Timeline - Who Invented Wifi?